Warhammer: Vermintide II’s first DLC will descend upon players on August 28. Full details about the DLC's content will be announced at GamesCom, but for now we know it’s titled Shadows over Bogenhafen. 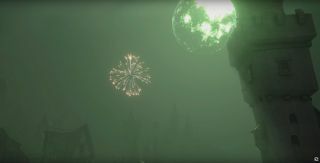 In addition, a brief announcement trailer offered a snapshot of a moonlit town swathed in a soupy fog, while fireworks popped in the distance. PC Gamer’s Steven Messner found Vermintide 2 to be much improved over the original when it launched in March this year. You can watch the announcement trailer for Shadows over Bogenhafen below.